The Lakelands are one of the most stunning regions in the UK with its rolling hills, stunning views and picturesque market towns. But how much do you actually know about the region? Well, here are 10 facts about the Lake District. Very wet in fact. The Lakelands are the wettest region in the UK, with more rainfall than even Scotland or the seemingly ever gloomy Manchester. Each year, an average of 130 inches of rain falls on Borrowdale. However, Keswick in Cumbria enjoys a far dryer year with just 50 inches of rainfall. Scafell Pike, standing an impressive 978 metres above sea level, is the highest mountain in England and the third highest in the UK behind Snowdon and Ben Nevis. Scafell Pike is a very popular draw to the Lake District with hikers and keen walkers and also forms part of the famous Three Peaks Challenge. It’s not only tourists who have fallen in love with the Lake District. Many of the country’s most famous children have called this region home over the centuries. William Wordsworth was perhaps the most famous. The great poet was born in Cockermouth and wrote a number of poems about the region. Other famous residents include Beatrix Potter who moved to the region from London after falling in love with its great tranquillity on a number of family holidays when she was younger. The majority of the Lake District is a national park. Aside from Kendal and the Peninsulas, the region was designated a national park in 1951 to help protect the landscape from industrial and commercial development and change. The National trust owns owns 25% of the region, United Utilities owns 8% and a further 3.9% is cared for by the Lake District National Park Authority. The result is that the Lakelands retain much of its rural splendour that Wordsworth raved about all those years ago. The largest natural lake in England, Lake Windermere is a long, narrow body of water stretching over 11 miles! Wastwater in Wasdale is the deepest lake in England – nearly 80 metres deep! It’s not just a deep puddle either. Wastwater is three miles long and over half a mile wide. It’s an odd notion for a region named after its many great lakes, but the fact remains: there is only one official lake in the Lakelands. Bassenthwaite Lake is really the only body of water that by the books has ‘lake’ in its name, although other regions include the word to help distinguish it from a neighbouring town, such as Lake Windermere. Every other supposed lake in the Lake District is actually classed as a water, tarn or mere. Between all the lakes, tarns, meres, waters, estuaries and coastlines, the Lake District is a real water lovers paradise. 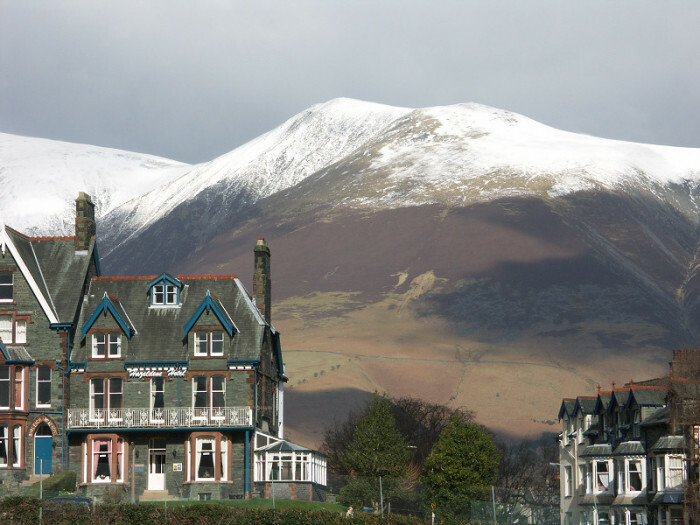 So many people visit the Lake District each year that it’s no surprise that such a high percentage of buildings in the region are purpose built for holiday makers. Nearly 16 million people a year come to the Lake District for short weekend breaks, week long holidays and day visits. And of course, tourists spend money. Each year holidaymakers bring well over £1 billion in revenue to the Lake District. 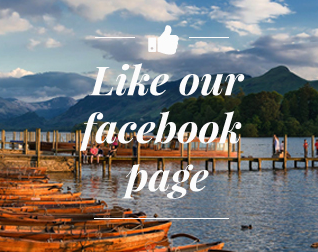 Want to learn some more facts about the Lake District? Our Cottage Journal covers some of the greatest things to do and see in the region. Read more by clicking here.